جلیلیان, حدیث, نادری, قاسم, شکوهی, شیرین. (1397). بررسی خواص و ریز ساختار پلی وینیل کلراید چقرمه شده با دی اکتیل فتالات/پلی متیل متاکریلات/ نانوگرافن. علوم و فناوری کامپوزیت, 5(3), 451-456. حدیث جلیلیان; قاسم نادری; شیرین شکوهی. "بررسی خواص و ریز ساختار پلی وینیل کلراید چقرمه شده با دی اکتیل فتالات/پلی متیل متاکریلات/ نانوگرافن". علوم و فناوری کامپوزیت, 5, 3, 1397, 451-456. جلیلیان, حدیث, نادری, قاسم, شکوهی, شیرین. (1397). 'بررسی خواص و ریز ساختار پلی وینیل کلراید چقرمه شده با دی اکتیل فتالات/پلی متیل متاکریلات/ نانوگرافن', علوم و فناوری کامپوزیت, 5(3), pp. 451-456. جلیلیان, حدیث, نادری, قاسم, شکوهی, شیرین. بررسی خواص و ریز ساختار پلی وینیل کلراید چقرمه شده با دی اکتیل فتالات/پلی متیل متاکریلات/ نانوگرافن. علوم و فناوری کامپوزیت, 1397; 5(3): 451-456. آمیزه‌های چندجزئی بر پایه پلی‌وینیل‌کلراید سخت (UPVC) به عنوان جزء اصلی و پلی‌متیل‌متاکریلات (PMMA) برای چقرمه سازی پلی وینیل کلراید، نانوگرافن (GNP) به عنوان تقویت کننده و دی‌اکتیل‌فتالات (DOP) در نقش نرم کننده با ترکیب درصدهای مختلف (10/90 و 20/80 حاوی phr 0، 5/0، 1 و 2 نانوگرافن) توسط مخلوط‌کن داخلی تهیه شدند. ریزساختار و خواص مکانیکی نانوکامپوزیت‌های تهیه شده با هدف بررسی اثرات متقابل PMMA و GNP بر خواص بستر UPVC بررسی گردید. نتایج بدست آمده از آزمون‌های کشش و ضربه نشان داد که با افزایش درصد نانوگرافن، مدول کششی افزایش و ازدیاد طول تا نقطه پارگی، استحکام کششی و مقاومت ضربه کاهش می یابد. در درصدهای ثابت نانوگرافن، مقاومت ضربه و مدول کششی و نیز درجه پراکنش نانوگرافن در نمونه های حاوی 20% PMMA بالاتر است که به اختلاط بهتر فازها در اثر برهمکنش های مشاهده شده بین نانوگرافن و پلی‌متیل‌متاکریلات در طیف سنجی مادون قرمز و امتزاج پذیری بالاتر دو فاز پلیمری در این ترکیب درصد نسبت داده می شود. همچنین، مشاهده سطح شکست نمونه‌ها توسط میکروسکوپ الکترونی پویشی نشان داد با افزایش درصد نانوگرافن سطح شکست نمونه ها زبرتر بوده و مسیر رشد ترک در حضور نانوگرافن طولانی تر و ناهموارتر می باشد. Nanocomposites samples based on unplasticized polyvinyl chloride (UPVC) containing polymethyl methacrylate (PMMA) as toughener, graphene nano-platelets (GNP) as reinforcement and di-octylphthalate as plasticizer were prepared with different composition ratios (i.e. 80/20 and 90/10 containing 0, 0.5, 1 and 2 phr GNP) using Haake internal mixer. Nanocomposite samples were analyzed using x-ray diffraction and scanning electron microscopy to investigate the mutual interactions between GNP and PMMA. Mechanical properties (Tensile modulus, elongation at break and impact resistance) of the prepared nanocomposites including tensile modulus, elongation at break and impact strength were also measured. Results showed that increasing nanographene platelets content increases tensile modulus where impact strength, tensile strength and elongation at break are decreased. At constant graphene contents, nanocomposites containing 20% PMMA show higher impact strength and tensile modulus. This was attributed to the higher mixing efficiency due to the interactions established between PMMA and GNP observed through FTIR and also higher miscibility of UPVC/PMMA pair besides the PMMA characteristics. Fracture surface of nanocomposites are significantly rough at the presence of nano-graphene which shows the torturous crack growth path. Birley, A. W., Heath, R. J. and Scott, M. J., “Plastic Materials: Properties and Applications“, Springer Netherlands, 2012. Chakrabarti, R., Das, M. and Chakraborty, D., “Physical, Mechanical, and Thermal Properties of Pvc/Pmma Blends in Relation to Their Morphologies“ Journal of applied polymer science, Vol. 93, No. 6, pp. 2721-2730, 2004. Schiller, M., “Pvc Additives: Performance, Chemistry, Developments, and Sustainability“, Carl Hanser Verlag GmbH & Company KG, 2015. Wu, S., Chen, M., Wu, G. and Zhou, C., “Variation of Core-Shell Structural Particles and Their Toughening Behavior in Poly (Vinyl Chloride)(Pvc) Matrix“ Journal of Polymer Research, Vol. 22, No. 5, pp. 82, 2015. 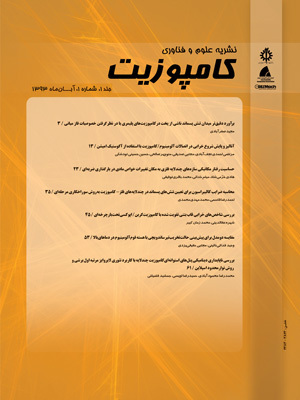 Gharieh, A., Mahdavian, A. R. and Salehi-Mobarakeh, H., “Preparation of Core–Shell Impact Modifier Particles for Pvc with Nanometric Shell Thickness through Seeded Emulsion Polymerization“ Iranian Polymer Journal, Vol. 23, No. 1, pp. 27-35, 2014. Chen, X., Li, C., Xu, S., Zhang, L., Shao, W. and Du, H., “Interfacial Adhesion and Mechanical Properties of Pmma-Coated Caco3 Nanoparticle Reinforced Pvc Composites“ China Particuology, Vol. 4, No. 1, pp. 25-30, 2006. Chuayjuljit, S., Sukasem, N. and Boonmahitthisud, A., “Effects of Silica, Poly (Methyl Methacrylate) and Poly (Methyl Methacrylate)-Grafted-Silica Nanoparticles on the Physical Properties of Plasticized-Poly (Vinyl Chloride)“ Polymer-Plastics Technology and Engineering, Vol. 53, No. 2, pp. 116-122, 2014. Pagé, D., Cunningham, N., Chan, N., Carran, G. and Kim, J., “Mechanical and Heat Deflection Properties of Pvc/Pmma/Montmorillonite Composites“ Journal of Vinyl and Additive Technology, Vol. 13, No. 2, pp. 91-97, 2007. Yao, K., Zhang, G., Lin, Y., Gong, J., Na, H. and Tang, T., “One-Pot Approach to Prepare High-Performance Graphene-Reinforced Poly (Vinyl Chloride) Using Lithium Alkyl as Covalent Bonding Agent“ Polymer Chemistry, Vol. 6, No. 3, pp. 389-396, 2015. Lee, J.-H., Jo, J.-K., Kim, D.-A., Patel, K. D., Kim, H.-W. and Lee, H.-H., “Nano-Graphene Oxide Incorporated into Pmma Resin to Prevent Microbial Adhesion“ Dental Materials, Vol. 34, No. 4, pp. e63-e72, 2018. Longo, A., Verucchi, R., Aversa, L., Tatti, R., Ambrosio, A., Orabona, E., Coscia, U., Carotenuto, G. and Maddalena, P., “Graphene Oxide Prepared by Graphene Nanoplatelets and Reduced by Laser Treatment“ Nanotechnology, Vol. 28, No. 22, pp. 224002, 2017. Gao, Y., Picot, O. T., Bilotti, E. and Peijs, T., “Influence of Filler Size on the Properties of Poly (Lactic Acid)(Pla)/Graphene Nanoplatelet (Gnp) Nanocomposites“ European Polymer Journal, Vol. 86, pp. 117-131, 2017. Gopakumar, T. G., Xanthos, M. and Xanthos, M., “Effect of Nanofillers on the Properties of Flexible Protective Polymer Coatings“ Polymer Composites, Vol. 27, No. 4, pp. 368-380, Aug, 2006. Zaman, I., Phan, T. T., Kuan, H.-C., Meng, Q., La, L. T. B., Luong, L., Youssf, O. and Ma, J., “Epoxy/Graphene Platelets Nanocomposites with Two Levels of Interface Strength“ Polymer, Vol. 52, No. 7, pp. 1603-1611, 2011. Keramati, M., Ghasemi, I., Karrabi, M., Azizi, H. and Sabzi, M., “Incorporation of Surface Modified Graphene Nanoplatelets for Development of Shape Memory Pla Nanocomposite“ Fibers and Polymers, Vol. 17, No. 7, pp. 1062-1068, 2016. Wang, D., Parlow, D., Yao, Q. and Wilkie, C. A., “Pvc‐Clay Nanocomposites: Preparation, Thermal and Mechanical Properties“ Journal of Vinyl and Additive Technology, Vol. 7, No. 4, pp. 203-213, 2001. Shiraiwa, M., Pfrang, C., Koop, T. and Pöschl, U., “Kinetic Multi-Layer Model of Gas-Particle Interactions in Aerosols and Clouds (Km-Gap): Linking Condensation, Evaporation and Chemical Reactions of Organics, Oxidants and Water“ Atmospheric Chemistry and Physics, Vol. 12, No. 5, pp. 2777-2794, 2012. Duan, J., Shao, S., Wang, L., Jiang, P. and Liu, B., “Polylactide/Graphite Nanosheets/Mwcnts Nanocomposites with Enhanced Mechanical, Thermal and Electrical Properties“ Iranian Polymer Journal, Vol. 21, No. 2, pp. 109-120, 2012. Alipour, A., Naderi, G., Bakhshandeh, G. R., Valic, H. and Shokoohi, S., “Elastomer Nanocomposites Based on Nr/Epdm/Organoclay: Morphology and Properties“ International Polymer Processing, Vol. 2011, No. 1, pp. 48-55, 2011. Aouachria, K. and Belhaneche-Bensemra, N., “Miscibility of Pvc/Pmma Blends by Vicat Softening Temperature, Viscometry, Dsc and Ftir Analysis“ Polymer testing, Vol. 25, No. 8, pp. 1101-1108, 2006. Shen, S. and Torkelson, J. M., “Miscibility and Phase Separation in Poly (Methyl Methacrylate)/Poly (Vinyl Chloride) Blends: Study of Thermodynamics by Thermal Analysis“ Macromolecules, Vol. 25, No. 2, pp. 721-728, 1992. Pérez Amaro, L., Coiai, S., Conzatti, L., Manariti, A., Ciardelli, F. and Passaglia, E., “The Effect of Layered Double Hydroxides Dispersion on Thermal and Mechanical Properties of Poly (Vinyl Chloride)/Poly (Methyl Methacrylate) Blends“ Polymer International, Vol. 62, No. 4, pp. 554-565, 2013. Chong, H., Hinder, S. and Taylor, A., “Graphene Nanoplatelet-Modified Epoxy: Effect of Aspect Ratio and Surface Functionality on Mechanical Properties and Toughening Mechanisms“ Journal of materials science, Vol. 51, No. 19, pp. 8764-8790, 2016. Dul, S., Fambri, L., Merlini, C., Barra, G., Bersani, M., Vanzetti, L. and Pegoretti, A., “Effect of Graphene Nanoplatelets Structure on the Properties of Acrylonitrile–Butadiene–Styrene Composites“ Polymer Composites. Ramesh, S., Leen, K. H., Kumutha, K. and Arof, A., “Ftir Studies of Pvc/Pmma Blend Based Polymer Electrolytes“ Spectrochimica Acta Part A: Molecular and Biomolecular Spectroscopy, Vol. 66, No. 4-5, pp. 1237-1242, 2007. Soman, V. V. and Kelkar, D. S., “Ftir Studies of Doped Pmma‐Pvc Blend System“ in Proceeding of Wiley Online Library, pp. 152-161. Modak, S. K., Mandal, A. and Chakrabarty, D., “Studies on Synthesis and Characterization of Poly (Methyl Methacrylate)‐Bentonite Clay Composite by Emulsion Polymerization and Simultaneous in Situ Clay Incorporation“ Polymer Composites, Vol. 34, No. 1, pp. 32-40, 2013. Wang, Y., Zhang, H. Z. and Wu, Y., “Structure and Properties of Strain-Induced Crystallization Rubber-Clay Nanocomposites by Co-Coagulating the Rubber Latex and Clay Aqueous Suspension“ J Appl Polym Sci, Vol. 96, pp. 318, 2005. Unnikrishnan, L., Mohanty, S. and Nayak, S. K., “Evaluation of Flame Retardancy and Shear Resistivity Characteristics of Organoclay within Acrylate Polymer“ Journal of Thermal Analysis and Calorimetry, Vol. 118, No. 1, pp. 405-416, 2014. Varghese, S., Gatos, K. G., Apostolov, A. A. and Karger-Kocsis, J., “Morphology and Mechanical Properties of Layered Silicate Reinforced Natural and Polyurethane Rubber Blends Produced by Latex Compounding“ Journal of Applied Polymer Science, Vol. 92, No. 1, pp. 543-551, Apr 5, 2004. Varghese, S. and Karger-Kocsis, J., “Melt-Compounded Natural Rubber Nanocomposites with Pristine and Organophilic Layered Silicates of Natural and Synthetic Origin“ J. Appl. Polym. Sci. , Vol. 91, pp. 813-819, 2004.